Curd, also known as Dahi, is a popular traditional milk product in India and occupies a pivotal position in the daily diet of people. 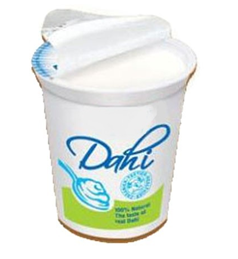 Being one of the oldest and most popular fermented product in India, dahi, resembles Western yogurt in most aspects. Curd is a fermented milk product, prepared by coagulating milk by adding a starter culture of lactic acid bacteria, vinegar or lemon juice. Curd can also be consumed by lactose intolerant people. Owing to the high content of calcium, vitamin D, proteins and phosphorus present in it, curd helps to strengthen bones and improve digestion. 03. As the product is already known to the common people, marketing of curd would be easier. According to a report published by IMARC, the market exhibited a CAGR of 13% during 2010-2017 and the market is further expected to reach a value of INR 807.1 Billion by 2023. The recent decade saw elevation of dahi as functional food. The healthy growth of the market can be attributed to numerous forces. Population growth, rising disposable incomes, increasing health consciousness among consumers and affordable price are some of the factors that are currently broadening the growth aspects of the market. 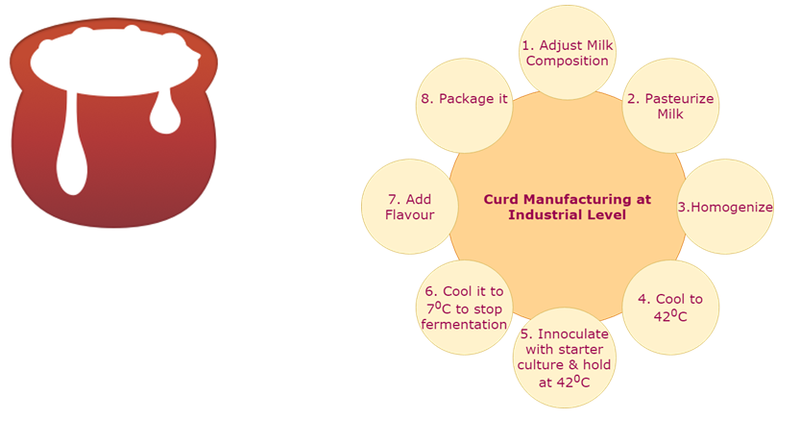 Recently several dairies have begun producing and marketing curd on a large scale. The major players in this sector in India are Amul, Nestle, Mother Dairy, Vita, Paras and a few more.Already considered good for digestion, dahi is the most appropriate product to introduce probiotics in the Indian scenario. Curd and its related products were, are and will remain an essential part of the daily diet of Indian population. They can also serve as an excellent base material to generate an array of products that fit into the current consumer demand for tasty and health-driven foods. Over the past century, voluminous scientific knowledge has well established the technological and nutritional aspects of curd. Innovation and value addition to curd and its related products will provide ample opportunities to FMCGs for increasing their product portfolio.